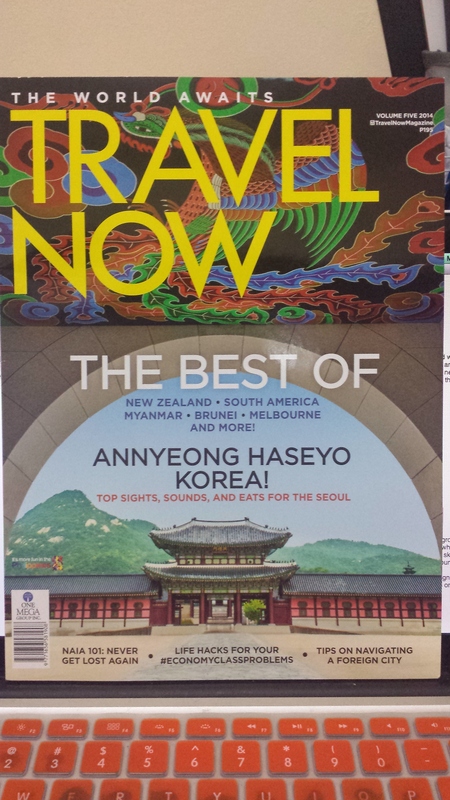 Or, A Case for Southeast Asian Travel. Like many middle-class Filipino teenagers infected with this dangerous thing called wanderlust, I was enamored with a vision of backpacking through Europe, riding transnational train systems, eating foreign delicacies (such as, ahem, Italian pasta and French escargot). I’ve whipped up a dream or two of finding love under Tour de Eiffel or through a happenstance meet-up in the winding roads of Venice. And if I couldn’t have Europe, I would have gone with the next best thing: good old USA —and this time I’d dream of Disneyland rides and an exaggerated amount of Broadway shows. But lately I’ve been thinking that my bucket list could do with some spicing up. Oddly enough, I’m setting my sights closer to home . Southeast Asian countries are so familiar! Why would I travel to countries that are just like the Philippines? It’s true that Asian countries are similar to the Philippines. Most have been colonized by European powers way back when, exhibit developing industrial or economic growth with poverty on the side, and are democratically unstable. Southeast Asians have brown skin because we live in the tropics, so it’s an easy mistake to make (at first). In fact, my family and I had several encounters in Thailand where natives mistook us for fellow Thai! In fact, this helpful map suggests the unique selling points of the different Asian countries. Very accurate. And unlike the Philippines, most Southeast Asian countries have strong Buddhist influences. The fun thing is that their treatment of the lifestyle is conversely influenced by their national culture; so while you can have some reclining golden Buddhas in Thailand, you can go and see a drastically different sort of monastery in Myanmar [in photo]. Don’t let the lack of “adventure” fool you! To a dash of excitement. Southeast Asian countries are definitely danger zones! Won’t I have more fun travelling through the safer First World countries? Yeah, this really doesn’t seem like a tourist-friendly place (Hi Jakarta). If you’re worried about pickpockets in the congested streets of Jakarta, or haranguing drivers in Vietnam, or losing some change on the way to Malaysia… I still say go for it! What’s a little travel without risk? You’re already incensed by the occasional irritating and wild motorist in Manila highways. Imagine that (a hundredfold) in Ho Chi Minh City, Vietnam. –Maybe when you get back to the Philippines, you’ll have built up a kinder tolerance! One of the most rewarding things about travelling is building a solid set of life experiences to look back on and remember fondly. And going into the fray means gaining confidence, survival skills and street smarts. Maybe it won’t be that fun or convenient to be in danger, but what a story to tell if you survive! Besides, sometimes you really have to trade security for experience. Where in Europe can you shop while on a boat? Nowhere, that’s what. Or at least nowhere as fun as in Vietnam! And to be quite honest, the level of danger doesn’t really change based on your location. Manila isn’t quite as free from danger as we’d like anyway, and even the most advanced country in the world still has some evil tucked away. Plus, we really shouldn’t generalize places, much less regions. Singapore, after all, is one of the safest capitals in the world! I’ve written this before, but Singapore City gives off an unparalleled secure vibe. Good job guys. ***Though obviously, if a country is going through civil unrest and the Department of Foreign Affairs already issued a travel alert, don’t take the risk. Be adventurous, not stupid. Southeast Asian countries aren’t cool! Why would I go to countries people have never heard of? Google the word “Asians” and you’ll be hard-pressed to find anything on Southeast Asians –global perception of Asia seems to be limited to these stereotypes, Lucy Liu, Jackie Chan and maybe some Judo/Taekwondo. I wager a lot of Westerners don’t think about West Asia, South Asia and Southeast Asia. You probably don’t have an overwhelming desire to go to our neighboring countries, because it’s not the fashionable thing. …And really, in this age of counterculture, that’s all the more reason to go! It’s cool to have all the usual places prioritized on your bucket list. Scroll through “Top 10” or “New Wonders of the World” sites to get some inspiration. Bite into the whole mystic East Asia or exotic South America spiel. But when all of them are exhausted or you’re looking for something different, Southeast Asian countries definitely step up to the plate. A place doesn’t have to be well-known to be exquisite. In fact, a lot of explorers would tell you that discovering something for yourself is even more rewarding than just following the footsteps of a million other people. Maybe you’ll be the first person in your circle of friends to have gone to Cambodia or Brunei. Aren’t exotic places the new fashion, these days? Be the trendsetter, be the prime mover. Be the reason why Southeast Asian countries become the place to be. Apparently the food in Penang, Malaysia is so good it’s one of Southeast Asia’s “10 Can’t Miss Attractions”. Ha! Luang Prabang, Laos. It’s a tourist-y town –with cool fusion architecture and ELEPHANT RIDING– literally surrounded by a jungle. What’s not to love? Additional Yes — it’s cheaper! A lot of college trip sites recommend backpacking through Southeast Asian countries, primarily because on top of the generous serving of orgasmic cuisines and new experiences, the airfare is also more affordable and the cost of living is less scary compared to other tourism hotspots! For the Filipina or Filipino traveller, Cebu Pacific, Air Asia and other small carriers offer real low cost airfare prices regularly! (Just catch their promos when you can). I could have begun with even closer to home, though, like reasons to travel to Manila or the Philippines. Oh well. 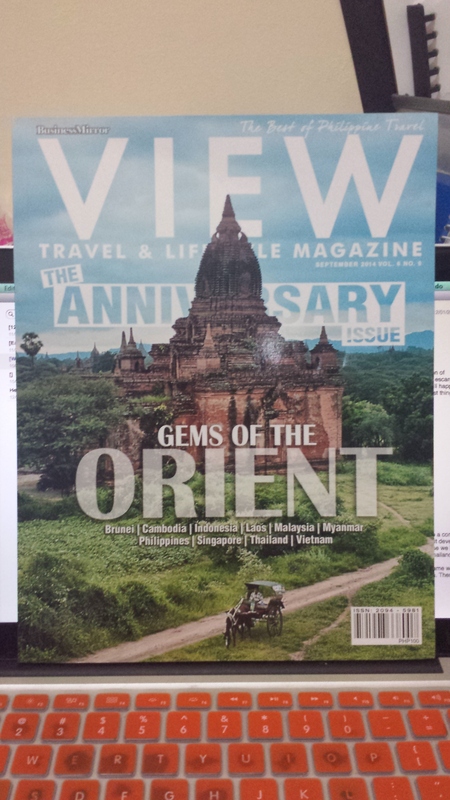 Inspirations for this post — Travel magazines. I may or may not find them attractive. I travel not to escape, but to remember why I stay. And if I haven’t mentioned by now, seeing Angkor Wat is definitely on my bucket list.